Thank you for your financial support of Colonial Baptist Church and its ministries. Giving is a great opportunity and privilege that we are granted. It is a very valuable and personal part of our obedience to the Word of God. Through our giving God blesses us and He uses us to help fulfill the Great Command to preach the Gospel around the world. Every time you give you are enabling others to take the Gospel to the lost. Missionaries travel around the globe fulfilling God's plan and workers here locally do the same in our community. I pray that every time you give you will do so with a cheerful and willing heart. The Apostle Paul said, "But this I say, He which soweth sparingly shall reap also sparingly; and he which soweth bountifully shall reap also bountifully. Every man according as he purposeth in his heart, so let him give; not grudgingly, or of necessity: for God loveth a cheerful giver. And God is able to make all grace abound toward you; that ye always having all sufficiency in all things may abound to every good work" (2 Corinthians 9:6-8). May God bless you as you faithfully obey in this grace of giving. 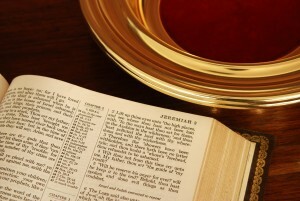 Tithes and Offerings: The tithe, by definition, is the first tenth of your income. An offering is anything that is given above and beyond the tithe. Tithes and offerings take care of the general budget and expenses of Colonial Baptist Church. Faith Promise Missions: These offerings go to support our missionaries in the United States and in other countries. Visit our "Connect" page and see a listing of the missionaries that we support. Debt Retirement: These offerings go 100% toward the principle of our current mortgage. Building Fund: These offerings help with special building and maintenance needs of the church.